Baguio light horses and Baguio ponies are Philippine horses known for their elegance, hardiness, and disease resistance ability. Baguio horses and ponies descended from breeding stock brought by the Chinese, Brazilian, and other South American traders. Subsequently, the dealers abandoned their animals when they left the Philippine Islands. The small horses and ponies that evolved from these equine breeds adapted to the native climate and became physically sound and tough. During the early 1700s, these horses along with other equine breeds flourished in the country. However, lack of selective breeding programs caused their numbers to decline gradually. Arabian and Spanish bloods were added to refine their traits and increase their numbers. 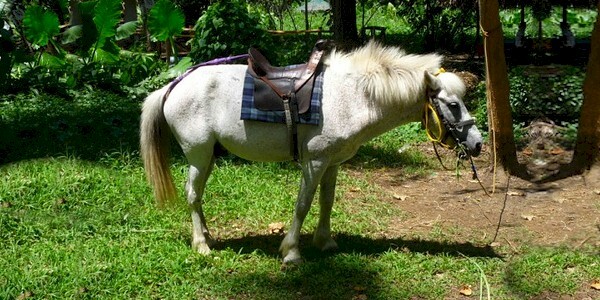 The modern-day Baguio horses and ponies are now handled by natives called the “pony boys,” who help tourists with horse riding around Wright Park, a place in Baguio City. They also take part in annual festivals, where they compete and race against each other.